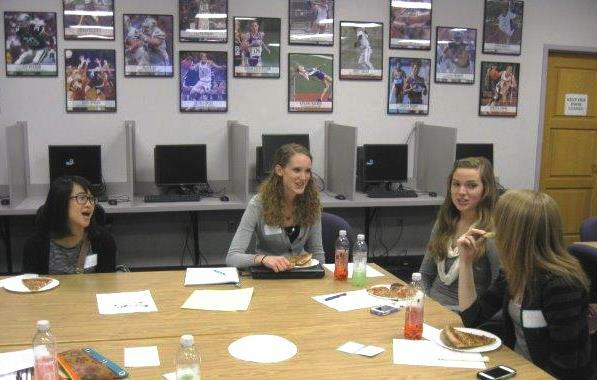 Totally Tutoring believes that there is a need to recognize K-State’s outstanding tutors and created several awards. Student tutors select the award-winning tutors each semester, and the awards are funded by Academic Excellence monies from the Offices of the President and the Provost. 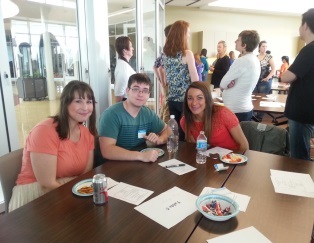 The Totally Tutoring awards show tutors that faculty, staff and their tutees appreciate all the hard work they do. The student-led award committee looks for tutors who have been particularly successful in bridging the gap in education. Whether that gap is between student and subject or even student and teacher, tutors are there to help students have a better understanding of their coursework and to provide them with the peer support they need to make the grade. 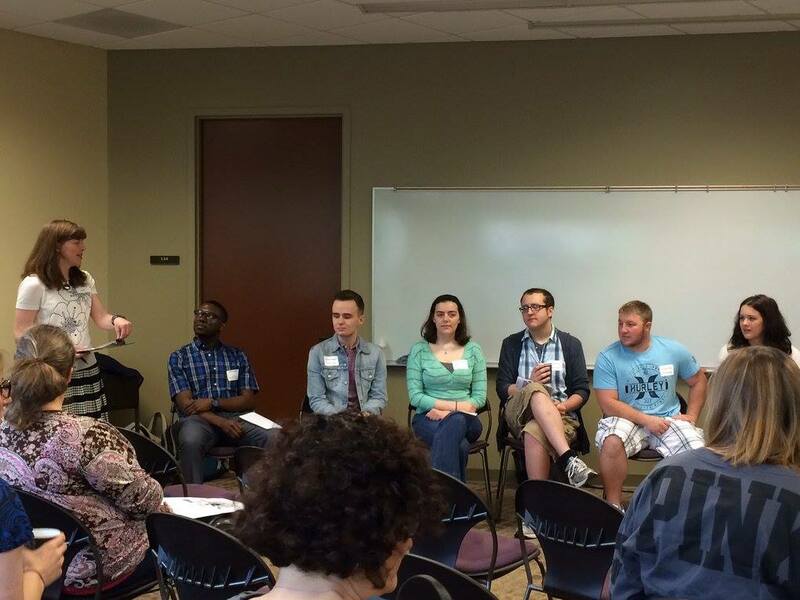 During 2014-2015 school year, Totally Tutoring provided three successful events for K-State tutors. 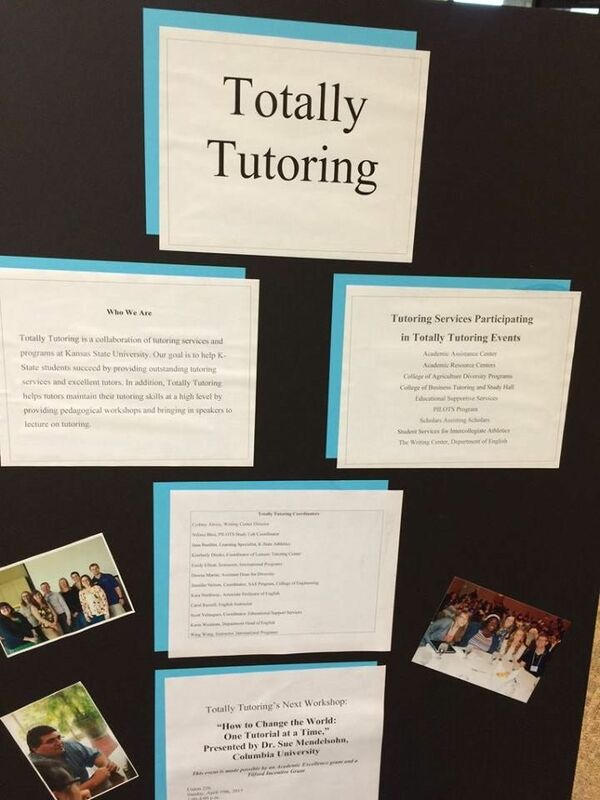 On October 28th, 2014, Totally Tutoring held its fall workshop sponsored by Michael Lynch (on behalf of the Office of Student Life) and Jill Shields (on behalf of Student Athletics). This workshop, entitled, “Voicing Our Manifesto: A Tutoring Revolution,” served as an opportunity to bring tutors and coordinators together to share the best tutoring practices with each other. During the workshop several stations were set up, designed to encourage tutors to discuss practices, experiences, key concepts and ways to improve their pedagogy with one another. 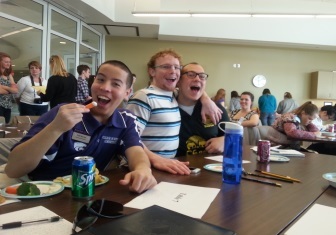 In addition, Totally Tutoring hosted its annual spring showcase on April 17th, 2015, to share how K-State tutors are benefiting personally and professionally from K-State tutoring programs’ collaboration. The showcase featured a Q&A panel with K-State tutors, giving the Provost, directors, deans, and other administrators the opportunity to ask the panel members questions on how experiences in varying tutoring programs are helping tutors become better campus leaders and enhancing the quality of their pedagogical work with K-State students. 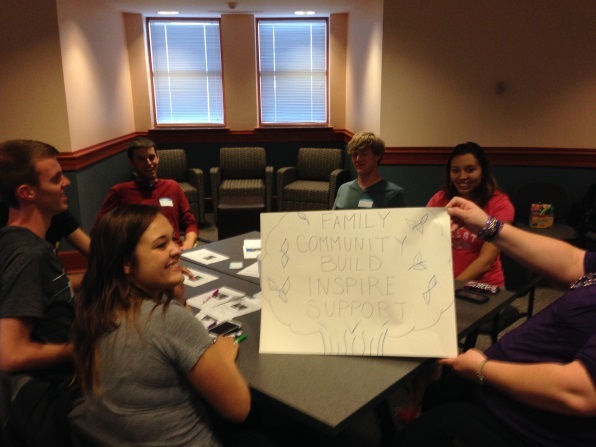 Totally Tutoring has been an informal assembly of K-State’s tutoring programs since spring 2011. 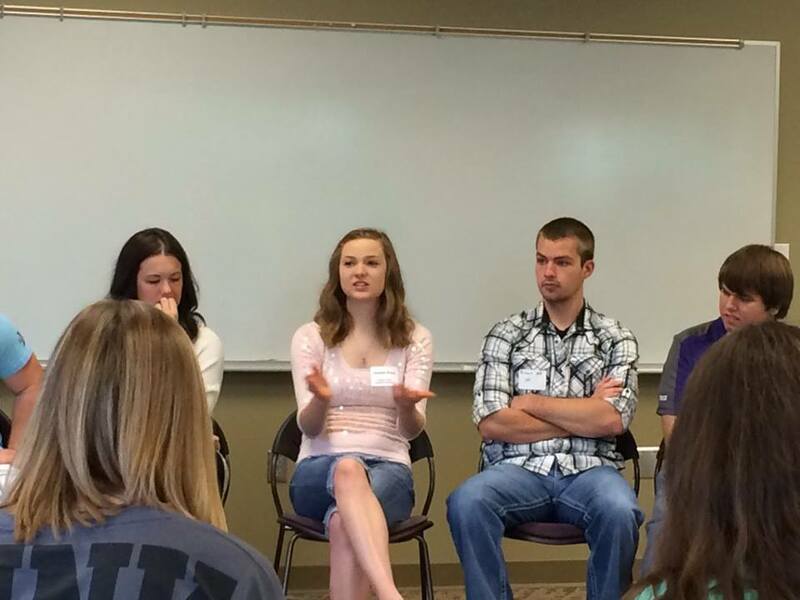 Since then, Totally Tutoring has provided enrichment activities that have benefitted K-State’s tutors and students. Totally Tutoring allows tutors to maintain their tutoring skills at a high level by hosting workshops and lectures by visiting scholars on tutoring. Currently there are approximately 300 tutors on campus, many of whom participate in Totally Tutoring’s collaborative efforts to improve campus tutoring. Some of the programs involved with Totally Tutoring include: Educational Supportive Services, the Writing Center, Academic Assistance Center, the Pilots Program, Athletics, and Scholars Assisting Scholars. This year’s Totally Tutoring events have been made possible thanks to the help of many individuals and organizations on campus. We are grateful for this support! If you would like to be a part of our organization or provide financial support, please contact Scott Velasquez, 532-5360 or sev9355@ksu.edu. We also welcome support for Totally Tutoring through contributions to the All University Campaign. Our foundation account is C38905 Totally Tutoring. 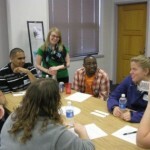 To learn more about Totally Tutoring, including our upcoming events, please visit our website at http://www.k-state.edu/totallytutoring/. To learn more about the many different tutoring services that K-State has to offer, please visit http://www.k-state.edu/tutoring/. Finally, we would like to encourage readers to pass this information along to all students campus wide. Tutoring makes a difference, and by sharing this knowledge, you can too! What is Totally Tutoring About? 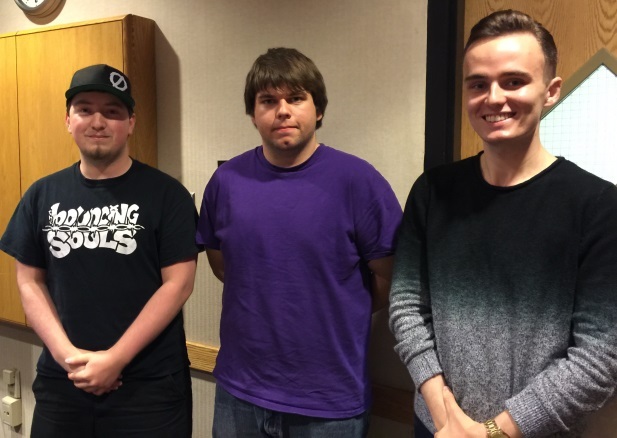 Totally Tutoring is a collaboration of tutoring services on Kansas State University Campus. Totally Tutoring’s goal is to help K-State students succeed by providing outstanding tutoring services and excellent tutors. In addition, Totally Tutoring helps K-State tutors maintain their tutoring skills at a high level by providing workshops and lectures on tutoring. Totally Tutoring had a great 2013-2014 school year with two workshops for tutors and another showcase of award-winners for administrators. The 2014-2015 school year is promising to be another great year for K-State and Totally Tutoring. 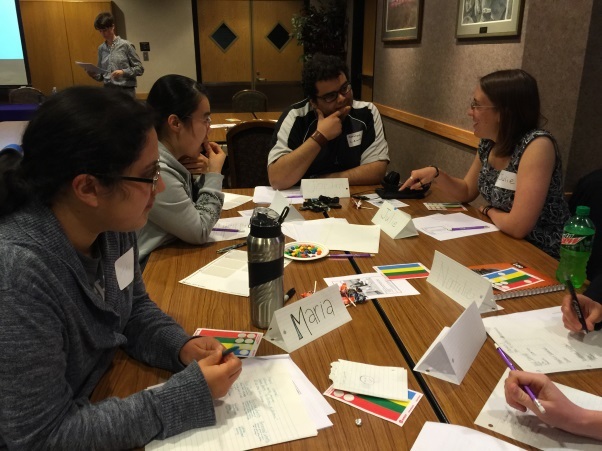 Totally Tutoring’s members are from 11 different programs across K-State campuses and are currently planning workshops and/or lectures for the upcoming school year. Over the last year, our Totally Tutoring awards and events have been funded by the Office of the Provost and the President, Steve Dandaneau, the Graduate School, the Teaching and Learning Center, Jill Shields, Housing and Dining, Educational Supportive Services, Bette Grauer, Dawne Martin, the Department of English and the Academic Excellence Fund. We are grateful for this support! If you would like to be a part of our organization or give monetary support, please contact Scott Velasquez, 532-5360 or sev9355@ksu.edu. We also welcome support for Totally Tutoring through contributions to the All University Campaign in September. Our foundation account is C38905 Totally Tutoring. 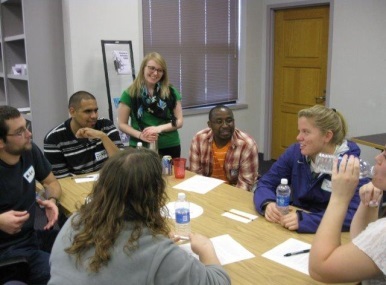 In the 2013-2014 school year, Totally Tutoring provided tutoring workshops for K-State tutors. Our first workshop was on November 10th, 2013. Experienced tutors Charlesia McKinney and Kelsey Hixson-Bowles led the fall tutoring workshop at the Vanier Football Complex at Bill Snyder Family Stadium. 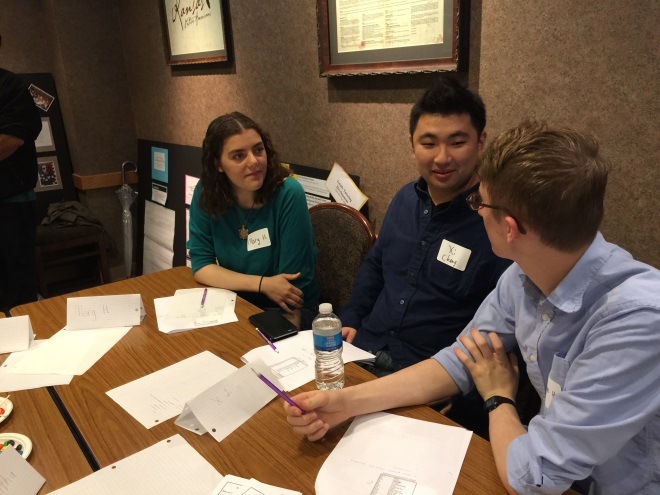 The workshop, called the “Totally Tutoring Pedagogical Workshop: New Learners/Transitions/Connections,” allowed tutors to explore their curiosity about successful tutoring practices through a survey and informal conversations with peers. Our biggest workshop was held at the Manhattan Sunset Zoo on March 30th, 2014. 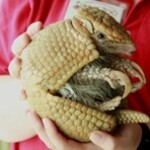 Totally Tutoring invited K-State tutors to go to the Manhattan Sunset Zoo and enjoy the day at the zoo! Not only did the tutors get to meet exotic animals like Dasypodidae, the Southern Three-banded Armadillo, and the Geochelone sulcata, the Sulcata Tortoise, but they were able to participate in an engaging workshop created by peer-learning expert Dr. Brian Fallon (Fashion Institute of Technology, State University of New York). 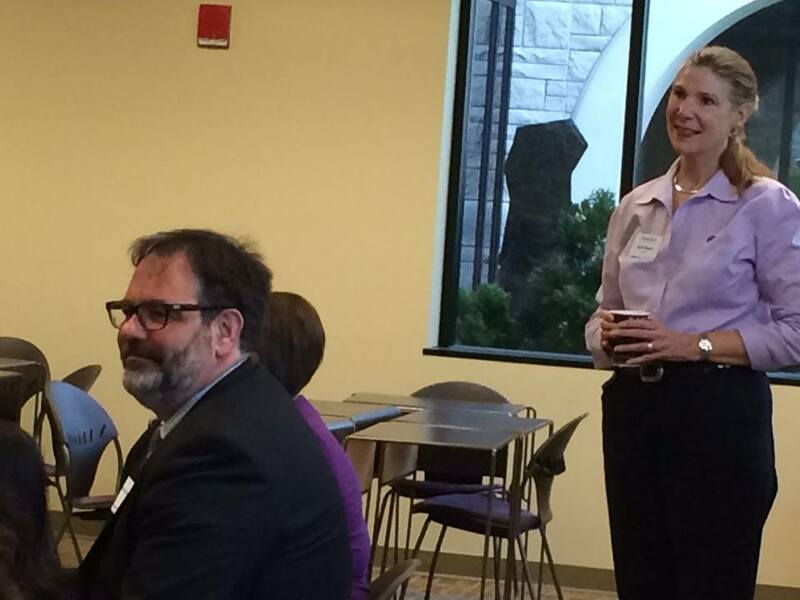 Dr. Fallon encouraged tutors to consider how their efforts as tutors contribute in unique ways to student-learning at K-State. Totally Tutoring was able to procure the leadership of Dr. Fallon with the help of monetary donations from different K-State departments and fly him out to the Little Apple from the Big Apple. 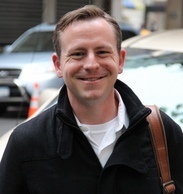 Dr. Fallon is the current president of the NYC Metropolitan Affiliate of the Council of Writing Program Administrators, and he also serves as the treasurer of the National Conference on Peer Tutoring in Writing (NCPTW). He has been invited to speak on peer tutoring at a number of events and campuses in the NYC area. 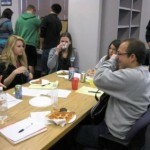 In 2012-2013 school year, Totally Tutoring provided excellent workshops for K-State tutors. 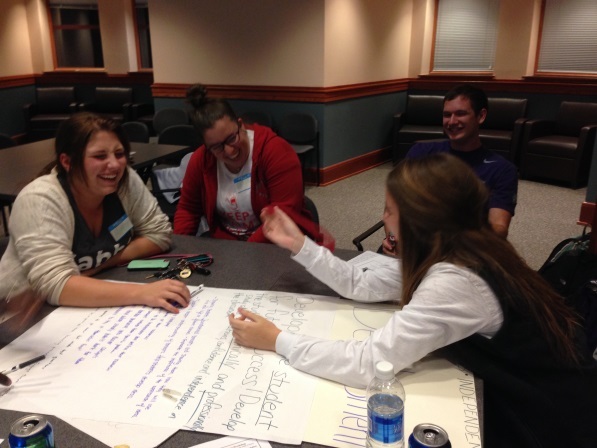 On October 31st, 2012, Totally Tutoring held their fall workshop at the Kansas State Union. 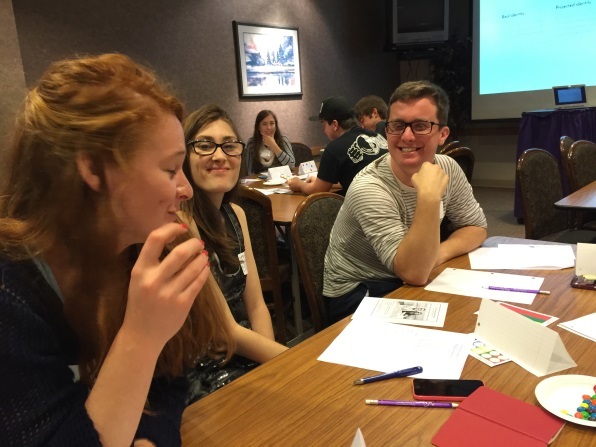 The workshop, called the “Frightfully Fanatic Workshop,” was an opportunity to bring tutors and coordinators together to share best tutoring practices with each other. 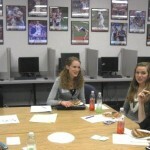 Both coordinators and tutors presented outstanding sessions at the workshop. 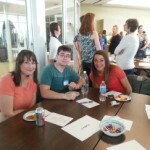 On March 10, 2013, Totally Tutoring held their spring workshop at the Vanier Conference Room. 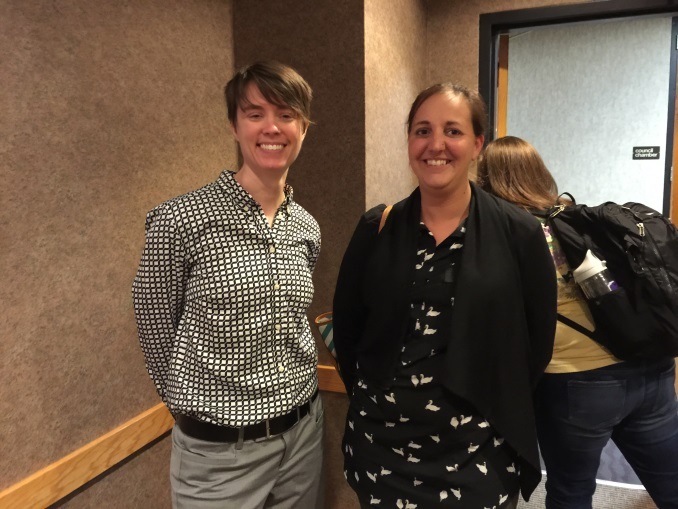 The workshop, called “And the Survey Says,” was a pedagogical workshop that allowed tutors to explore their curiosity about successful tutoring through a survey and informal conversations with their peers. In addition, Totally Tutoring provided a showcase about how K-State tutors are benefiting personally and professionally from K-State tutoring programs’ collaboration. On February 6, 2013, Totally Tutoring Showcase II displayed photos of other events, such as “An Afternoon of Pedagogy, Play and Pizza” held Spring 2011, or the Totally Tutoring: A Pedagogical Workshop with Dr. Frankie Condon held Fall 2011. Provosts and directors got to met some of the tutors, and learned how these experiences are helping them become campus leaders and enhancing the quality of their pedagogical work with K-State students. 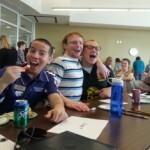 Totally Tutoring had a great 2012-2013 school year with two workshops for tutors and another showcase for administrators. The 2013-2014 school year is promising to be another great year for K-State and Totally Tutoring. Totally Tutoring’s members from 11 different programs across campus are currently planning more workshops and/or lectures for K-State tutors. If you like to be a part of our organization or would like to give monetary support please contact Kara Northway, Assistant Professor of English, northway@k-state.edu. Another way to give us monetary support is to contribute to the All University Campaign in September. Our foundation account is C38905 Totally Tutoring.